on Monday January 25, 2016, 5.15 pm, EPFL room MXF-1, with live broadcast at ETHZ HIT E51 auditorium. Abstract — Novel materials design is a critical capability to address several urgent societal problems. But materials development is difficult and time consuming due to the lack of quantitative information on the properties, synthesis and behavior of novel materials. The confluence of high-throughput computing, big data, and data analytics is likely to transform the way materials development is done in the next decade. I will show several examples of the impact of the Materials Genome in developing new materials and nucleating new ideas in materials science. As one example, the Materials Project has as its objective to use high-throughput first principles computations on an unparalleled scale to provide basic materials property data on all known and many potential new inorganic compounds, thereby accelerating the search for new materials. About the speaker — Gerbrand Ceder is The Chancellor’s Professor of Materials Science and Engineering at UC Berkeley. He received an engineering degree from the University of Leuven, Belgium, and a Ph.D. in Materials Science from the University of California at Berkeley in 1991. Between 1991 and 2015 was a Professor in Materials Science at the Massachusetts Institute of Technology. 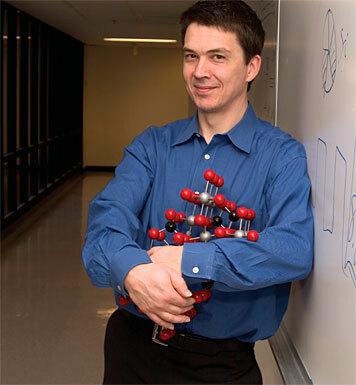 Dr. Ceder’s research interests lie in the computationally driven design of novel materials for energy generation and storage. He has published over 350 scientific papers, and holds several U.S. patents. He has served on MIT’s Energy Council as well as on several DOE committees, including the workgroup preparing the Basic Needs for Electrical Energy Storage report, and has advised the government’s Office of Science and Technology Policy on the role of computation in materials development, leading to the Materials Genome Initiative. He is a Fellow of the Materials Research Society and a member of the Royal Flemish Academy of Arts and Sciences. He has received the MRS Gold Medal, the Battery Research Award from the Electrochemical Society, the Career Award from the National Science Foundation, and the Robert Lansing Hardy Award from The Metals, Minerals and Materials Society, as well as several teaching awards. He is a co-founder of Computational Modeling Consultants, Pellion Technologies, and The Materials Project.